I’ve been asked if by posting pictures of myself on the internet is asking for criticism. My answer has to be no. Am I aware of the possibility of criticism? Of course. People are people, and people love to criticise. I believe that confidence is something that everyone should have and for some, including the old me, it can be the hardest thing of all to attain. I’m the girl that hated her picture taken and if I couldn’t avoid it then I would make damn sure to detag and distance myself from the photographs I didn’t like. Posting photographs of yourself, putting yourself out there, especially when purposely showing and highlighting the clothing you are wearing is damn scary. The first time I did it, I honestly was waiting for a flood of criticism and abuse. But you know what? None came. Now when a camera is pointed at me I smile. I don’t hide. I don’t run for the detag button. I’m a different girl to what I used to be. 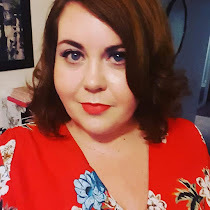 I’ve even reviewed clothing for SimplyBe, something that I would never ever have dreamed possible before. I still weigh the same, I still look the same, but I’m no longer ashamed of who and what I am. Compare and contrast if you will. The first photograph was taken a few weeks back. Girl number one's smile is genuine. She's happy, wearing colour, comfortable in front of the camera. In the second photograph girl number two is terrified of the camera and ashamed to be in front of it. Personally, I prefer girl number one. Fat girls can't wear print, or bright colours. Fat girls just wear black. Well this one damn well doesn't! So am I opening myself up to criticism? Yes. Do I care any more? Oh HELL no. I was the same. I wasn't myself on my blog for SO long because I was afraid people would be awful to me. I'm sure those days will come, but so far everyone has been really nice. That is so true. If people are rude, that is their problem. I tend to find the ones that are, are also the ones that are most unhappy themselves. Reading this post is like looking back on my own life. I always hid from photos, too. If I couldn't run away, I would hide behind my hands, a pillow, another person, whatever I could do to not be snapped. 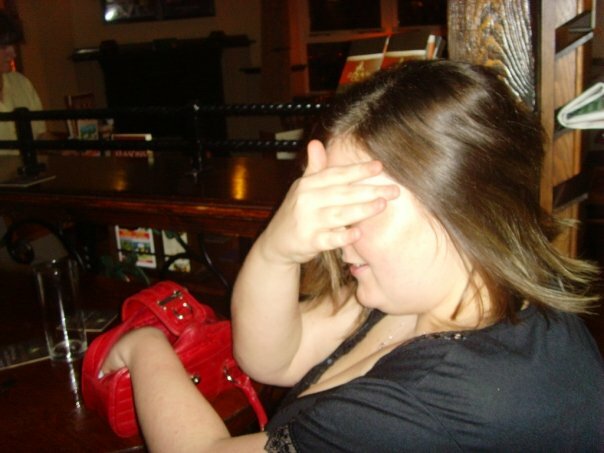 There's hardly any photos of me from my teens up until a couple of years ago. I hated myself that much. It took a back injury 18 months ago to change my perspective on life. Although, I still desperately rush to untag photos I'm critical of. I still hid my face on my blog for months before I began slowly showing my face. I was terrified. I'm still afraid of what anybody I know would say if they found my blog (stupid, I know), but I've reached a point where I think critism from strangers wouldn't upset me as much as it would have a year ago. I would've taken it to heart then without a doubt. I've been lucky enough (so far) not to have any trolling or negative feedback on the blog thus far. Having a blog like this is an open window, but now I'm coming from a place of feeling sorry for those that feel they HAVE to criticise others.